While it is applied in various spheres of life and scientific fields, the concept of infill is most commonly used in residential development and construction. It is the filling of empty lots within existing neighborhoods. That is why it is often formally referred to as urban infill. Most often, the term is used to describe the building of single-family homes. However, in the case of Edmonton, the concept is much broader and includes a wide range of structures. It is important to note that the infill concept has been around for quite some time in the field of urban construction and development. However, its importance has grown significantly in recent years in line with the broader concept of sustainable development. This has led to its adoption in many cities of various sizes including ours. The City announced the infill in 2009 and launched a complete plan for the execution of the project in 2010. It involves the building of new housing in established neighborhoods. The City defines established neighborhoods as ones which are predominantly residential, mostly planned and in existence before 1995. They are generally within the area defined by Anthony Henday Drive. Other residential buildings and ones with mixed used can also be built. As the list suggests, it is perfectly possible to find many different types of Edmonton homes built as part of the infill project. You should also be aware of its specifics. Initially, the minimum allowed width of a lot for building a single detached house was 39.37 feet (12 meters), but it was changed to 25 feet (7.6 meters) in 2015 to give greater flexibility to developers. This has naturally led to an increase in the number of smaller homes, but this is actually in line with the local housing market’s demand given that the average household size in the city is 2.5 people. The Edmonton infill project summary for 2017 reveals that to date the City has completed 15 of the 23 actions set out in the initial plan while the remaining 8 are in progress. The project is good for the city and everyone living in it in several ways. Let’s take a closer look at them. The current forecast suggests that the population of the city will grow by 170,000 people by 2025. This poses the need for thousands of new Edmonton homes. Thanks to the infill project, many of these will be built in established neighborhoods rather than in new ones. This will help for the preservation of the natural environment around the city which is valuable to all citizens in more ways than ones. Additionally, infill will minimize the need for new infrastructural projects and the establishment of more police and fire stations and other essential facilities. As a result, the taxes for local residents will not increase sharply. This is a direct monetary benefit for everyone. 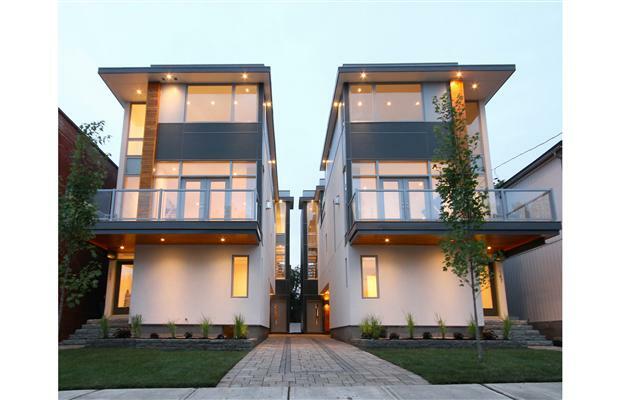 This is another one of the major purposes of the Edmonton infill. In the past 40 years, the population of these neighborhoods has declined by 73,000 people. The newly built homes will attract more buyers to these communities. As the population increases, the demand for the goods and services of local businesses will naturally rise. Existing ones will prosper and new ones will come in. If you buy a home in an established neighborhood, you will be able to reach the downtown area and most other major attractions in the city much faster, no matter what mode of transportation you use. The shorter distances to work and to school are major advantages for every household. Besides, as your neighborhood revives, you will be able to do a lot more things there. Imagine your new house or apartment being just a walking distance away from cafes, shops and restaurants. Many established neighborhoods also have beautiful landscaping and well-designed and maintained parks and children’s playgrounds. Overall, the Edmonton infill project presents great new opportunities for the city and both its existing and new residents. It has achieved a remarkable progress to date. There are over 8,400 new Edmonton homes built as part of it. You can easily find out if any of them is available for sale.